With exponentially increasing power demand the supply and generation of power has become the center of focus for all the stakeholder sin the entire industrial ecosystem. The most important area for DISCOMS and power generating companies, where they are bleeding money today, is transmission and theft (tampering). And the answer to these is Smart Meters and Smart Street lights. 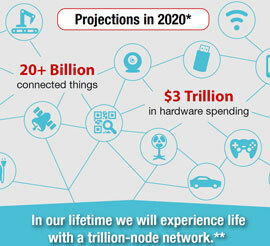 IOT is no more Internet of things it has become Internet of Everything. Once of the biggest, fastest and finest way of using IOT is evident in Industrial Sector. 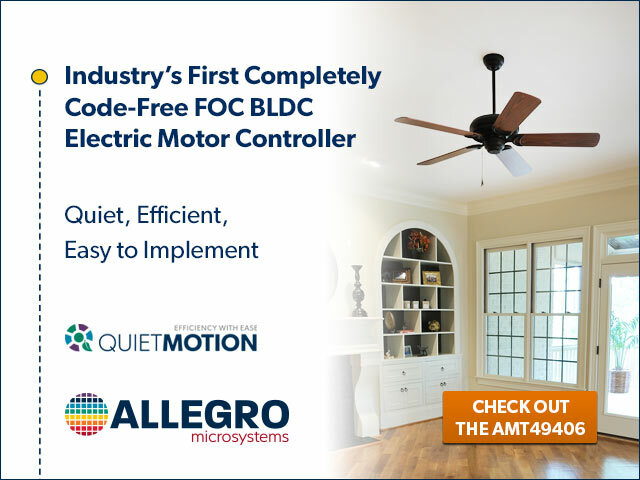 Whether it is sensors, access control, security, surveillance & monitoring or HMI, motor control or programmable logic control, everything is connected. Within industrial IOT also manufacturing sector and smart grid happens to be the biggest consumer of IOT solutions. IOT gets integrated from the very first stage of raw material loading and supply through tank level check indicators, loading trays occupancy adequate temperature sensing etc. 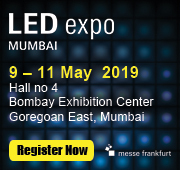 Going forward the connected sensors, motor control and HMI ensure the flow, speed and service stages and then finally segregated and aligned output arrangements for manual inspection followed by packing. Every stage is linked and connected to ensure most reliable, flawless and efficient system for best productivity and efficiency. The benefits of Industrial IOT are being cashed every single day by industries leading to big economic gains at all the economic levels. But with Industries deploying more and more advanced automated systems with extensive usage of IOT, the power source for all industries and these highly intelligent automated systems is not much talked about. I am referring to Power Grid or rather Smart Grid. With exponentially increasing power demand the supply and generation of power has become the center of focus for all the stakeholder sin the entire industrial ecosystem. Whether it is the consumer (industries-small, medium and big scale) or the transmission and distribution companies (DISCOMS) or the generators (GRID – mini/micro/large scale). 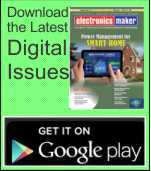 With industries leading the race in making their installations smarter and smarter the other stake holders are in a big pressure situation. The most important area for DISCOMS and power generating companies, where they are bleeding money today, is transmission and theft (tampering). 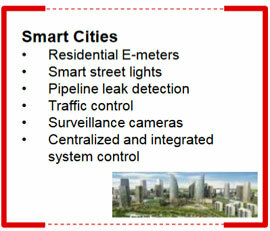 And the answer to these is Smart Meters and Smart Street lights. From the old mechanical meters we have moved at a supersonic speed, comparative to other parts of world, to making Smart Meters. The point to notice here is the recent focused development and improvement resulted by the focused effort and investment from different stakeholders (like government of India, certification and Standards agencies) being spent on overcoming the painful challenges of no electricity in major portion of India, heavy AT&C losses and theft. A lot of effort, time and money being spent by government and different Industrial partners in making Smart City initiative a success, holds the key with the Smartness of Grid. It’s obvious that every link node in the entire ecosystem needs to be linked and connected to complete the picture and finally make the entire system functional and smart. 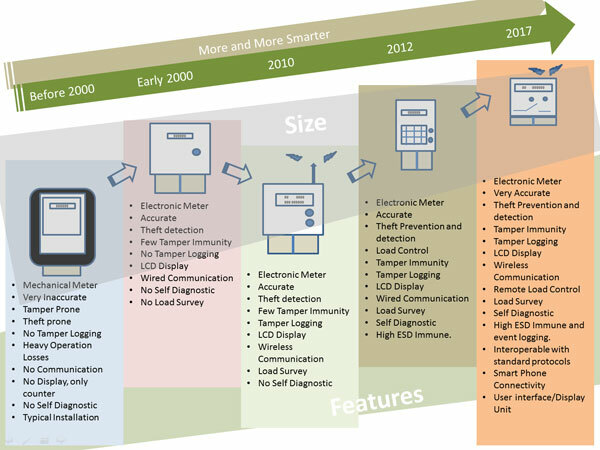 A very good example of evolution of power grid over past few years can be seen in energy meters, as shown in picture below. Texas Instruments being very closely involved over past decades and importantly in many worldwide platforms (defining standards and future technologies), have led the mission to make the meters and grid not only smart but greener. Hence not only reducing the losses and theft but also making the entire ecosystem greener, which ultimately is saving more money than anticipated. The other inherent advantage of IOT in Smart Grid is shrinking form factor of modules/nodes and a tight control loop between them. The shrinking form factor is undoubtedly fueled by the semiconductor partners but the tight control loop clearly demands the processing power with durability and robustness. Integration should never come at a price of vulnerability, and hence it becomes obviously clear that fundamental requirement of duty cycle, efficiency and greener solutions remain intact along with more and more reduction in size/form factor. With multiprotocol wireless SOC’s like CC13xx and CC26xx from companies like Texas Instruments, the meters have become adaptive just like Smart phones. 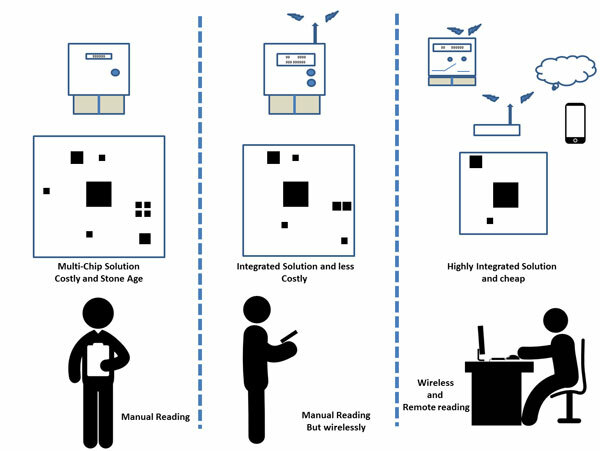 Just like any smart phone keeps upgrading its operating system including newer features and applications, the smart meter equipped with wireless modems based on multiprotocol SOC’s also allow the utility to upgrade the firmware in field through wire and wirelessly to newer protocol or upgrade of existing protocol stack. Apart from this with connectivity on BLE and 6LowPAN protocols smart meters can connect to smart phones and then to cloud, there by not only sharing the measured and logged information locally but remotely too. It is still a long road to go but the start has been made and it is very certain that the journey is going to be full of milestones and will prove to be guiding force for utilities around the world. 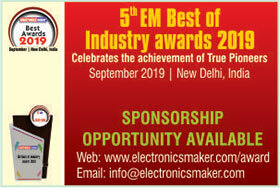 Companies like Texas Instruments are powering the next level of Smart Meter which enables them to take decision of load control based on prevailing conditions of fault and supplied power. 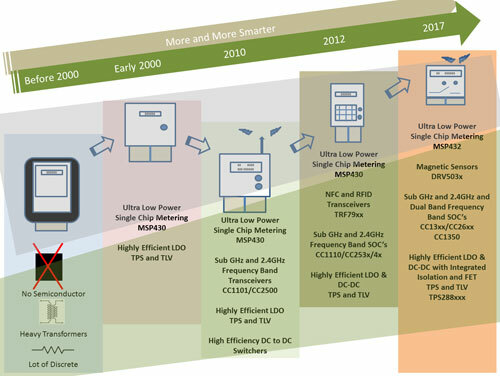 With ultralow power metering SOC’s and high performance multi-protocol wireless SOC’s the new features infused, make the Smart meters even smarter. With latest generation of Metering SOC’s the meter can run on battery for months even if it is tampered with neutral disconnect (not allowing the internal supply of meter to work). 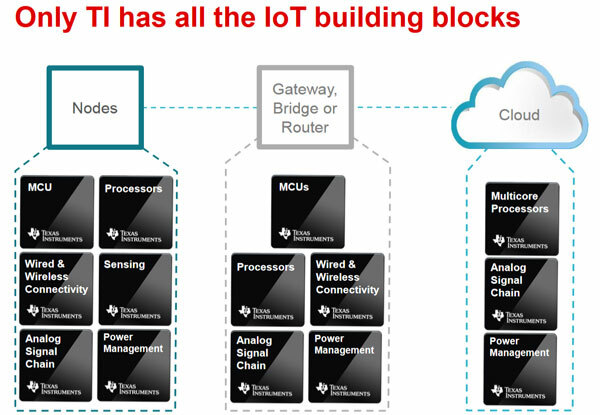 With next generation wireless SOC’s the same IC and hardware can be used to support multiprotocol like Zigbee, BLE and 6LowPAN in field too. This gives all the utilities a very big edge to adapt and upgrade to the latest technologies exploiting the maximum benefits of the same, in their use case perspective. Now a Smart Meter can communicate over IPV6 networks (every meter having unique IPV6 address worldwide) giving the consumer and utility absolute information and control respectively. 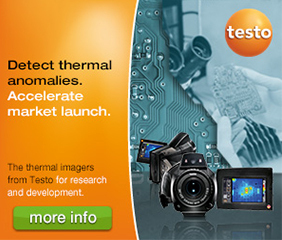 TI has dedicated processors for HMI and PLC solutions with reference solutions and production ready solutions from third party design partners. With Instaspin available for motor control the solution development and deployment is only a matter of few days, as the user friendly GUI enables the solution architect to spin any motor in seconds. TI also has a huge portfolio of IEC qualified captouch controllers(which can sense metal touch too) and catalog ARM controllers with integrated flash and analog peripherals, which can be used easily with the help of their individual part’s reference designs and extensive design library of TI designs specifically made for sub-systems of Industrial IOT and Smart Grid. 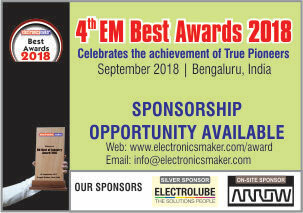 The credit goes to all the power utilities, Indian standard defining bodies and meter manufacturers who voice their challenges to leading solution providers like Texas Instruments to design and come up with innovative solutions for not only smart meter but smart grid too. 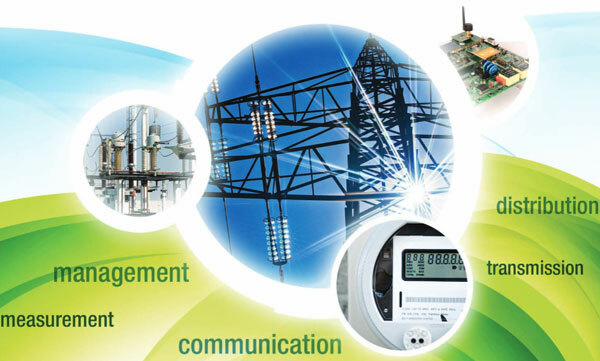 Find complete reference designs, complete with documentation and support for a wide variety of smart grid systems, including Grid Infrastructure, Grid Communication, Energy Measurement, Utility Flow Metering, and Renewable Energy. Abhed Mishra, System Applications Lead, LPRF, Texas Instruments India Pvt. Ltd.